Home » Travel Info » When to Go? Cuba has a very pleasant semi-subtropical climate, which is generally warm year-round and can be divided into two seasons. The wet season is between May and October, and the dry season is between November and April. While the most popular months to visit Cuba are between November and April when the weather averages between 78 and 85 degrees, Cuba experiences little seasonal variation and travelers should also consider late spring, summer, and fall travel. Temperatures are only moderately higher during the summer, reaching into the 90’s in the warmest month of August (similar to our weather here at our headquarters in New York!). The perk is that summer visitors enjoy fewer crowds and less expensive travel. Hurricane season is from June through early November, however, the likelihood of a hurricane is more likely to occur in August through October. Since 1960 there has been only 32 recorded hurricanes in Cuba. You can read more about Cuba's climate here. So if you’re wondering when the best time is to travel to Cuba, the answer is, it’s up to you. If you would like personal assistance and first hand information with regard to the weather or the best time to travel to Cuba, contact our Travel Specialist team at 800-450-CUBA (2822). 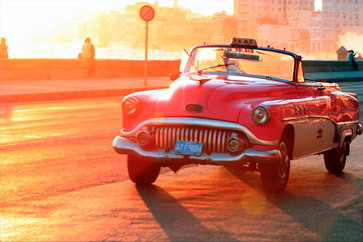 To choose a departure date visit our Cuba tours page.